This week on the Appetizer, we're playing some of D. Grant's favorite tunes, spanning several genres and eras of modern music including folk, rock, alternative and Latin music. It's an eclectic mix of fun stuff that should make you want to dance and laugh a bit too. Coming up, we travel back to the days of alternative rock's peak prominence of the mid-90s with tunes from Live, Oasis, and REM. Also we travel way back to the days when Michael Jackson was just an innocent kid playing music with his brothers and a tune called La La La La La (Means I Love You). 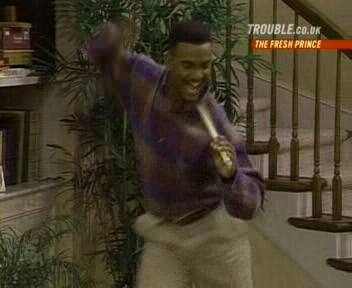 Anyone remember Carlton Banks dancing to Tom Jone's hit "It's Not Unusual?" That's where D. Grant first became familiar with this song. It didn't seem to get any funnier than Carlton dancing to this song, it almost makes you want to it try yourself. Also we have a festive version of the theme from "Rocky" and a special song for fans of a lesser-known Stallone movie of the '80s, "Over the Top," with a song from Sammy Hagar. We've got more modern music on the way as well including Straylight Run, Snow Patrol, Dido, New Zealand folk rocker Carla Werner, and a cool, smooth, soulish cover song from Swedish group Trombo Combo. And our local artist this week is Homer Hiccolm and the Rocket Boys. It's an hour of fun and great music. 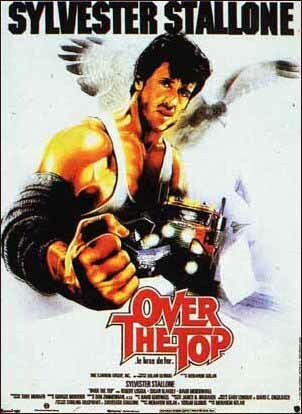 Tune in this Saturday night at 8 to the Appetizer, on 89.7 KACU or online at www.kacu.org. And don't miss next week's Valentine's Day Love Song show!!!! !